Waterbury, VT – After finally kicking off the 2018 season this past Sunday, the American-Canadian Tour will be right back in action just six days later. The New Hampshire Governor’s Cup 150 at Lee USA Speedway this Saturday, May 12 will continue a busy early-season stretch for ACT teams created by multiple postponements. 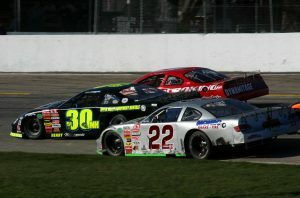 As such, their mettle will be tested as they set up their summer-long charge for the ACT Late Model Tour championship. Waterbury, VT – For the second time this month, American-Canadian Tour (ACT) and Lee USA Speedway officials have announced the postponement of the 28th New Hampshire Governor’s Cup, citing unsuitable ground conditions at the facility. The event has now been rescheduled for Saturday, May 12 at 2:00pm. Excessive mud and moisture has persisted at the track throughout April due to heavy snowfall over the winter. Freezing rain and cold temperatures this past weekend further worsened the conditions, making it impossible to get the grounds race-worthy in time. 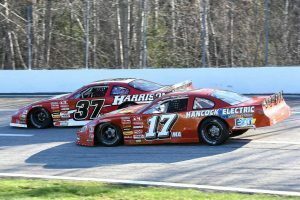 Eddie MacDonald opened last season’s PASS schedule with a victory at Thompson Motorsports Park’s Icebreaker and hopes to repeat that performance this Sunday, April 8 on the famed Thompson speedway. Eddie Mac will pilot the Dave Lemieux owned Pro Stock in as many as nine events with his sights set on an Icebreaker win.